When using BACKTRACK, we have seen that data retrieval can be prevented if Windows Mobile Device Center is not configured properly. Data retrieval between BACKTRACK and Windows is not working. Files are not able to synchronize. 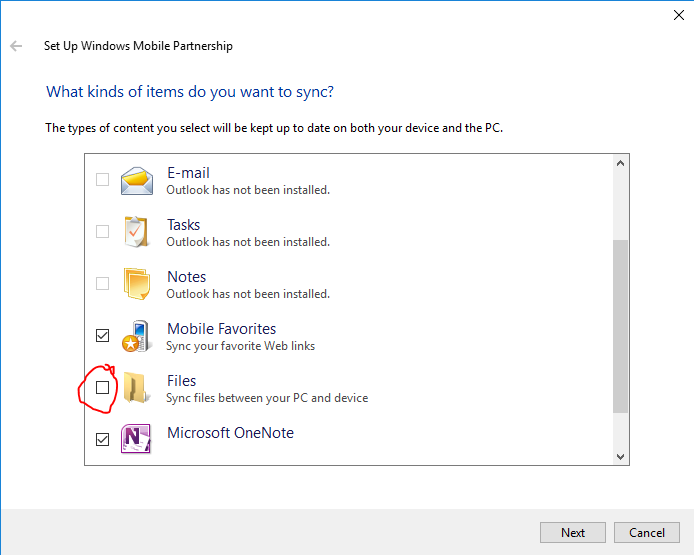 A PDT connected to a workstation and synced with Windows Mobile Device Center is not configured properly to synchronize files. We have seen this with BACKTRACK 2012.0.3 where it prevents data retrieval. Enable the ‘File’ sync settings in Windows Mobile Device Center.